It wasn’t 2009 all over again. This was Lakers versus Celtics, Boston versus LA. This was the oldest and best rivalry in the National Basketball Association, the only rivalry in the sport that really matters. The two most decorated franchises were squaring off. Boston’s 2008 title versus LA’s 2009 title, winner take all. And last night, in one of the best bad games I’ve ever seen, Boston fell to the victorious Los Angeles Lakers 83-79. This is the 16th title for LA. 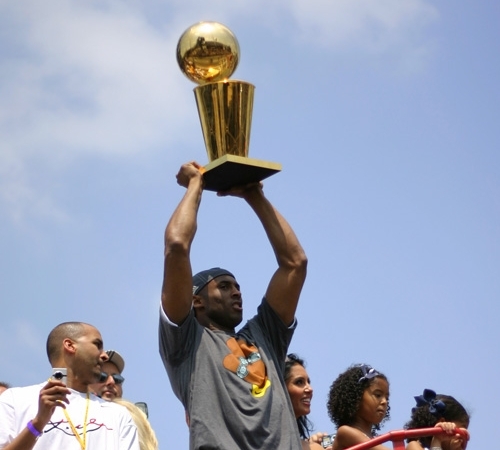 Strangely enough, for Los Angeles, the hero wasn’t the team’s undisputed star player Kobe Bryant; the guy who won the game for LA was actually perennial head-case Ron Artest. Artest scored, he played lock-down defense, he rebounded… he picked up the slack for everyone else on the team for long periods of time, and the only reason LA even managed to claw back into the game after Kobe Bryant’s horrible performance was thanks to the stellar play of Artest. It’s been a really odd NBA Playoffs. As for Boston, Ray Allen had absolutely nothing left in the tank, and some horrible officiating robbed Boston of its physical advantages. Thanks to that and the injury to Kendrick Perkins, not even Rajon Rondo’s typically incredible play and a clutch game from vet forward Rasheed Wallace could turn the purple-and-gold tide.